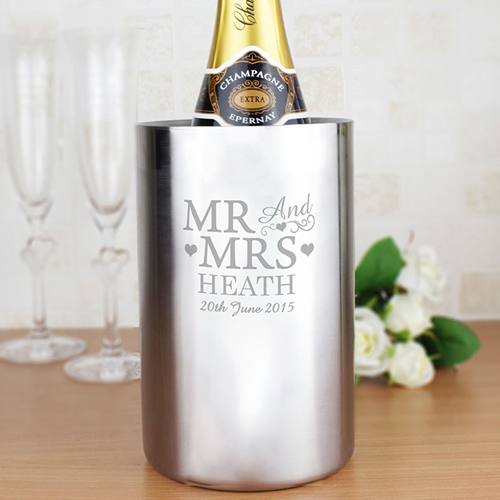 Personalise this Mr & Mrs Stainless Steel Wine Cooler with a surname up to 15 characters and date up to 20 characters. It has double walled insulation for effective cooling and can hold standard wine and champagne bottles. 'Mr And Mrs' will be fixed text on this item. Unsuitable for safe use in dishwasher. Personalise with a surname up to 15 characters and date up to 20 characters.